San Diego Zoo - Painting Snake Cages??!! Is That Really A Job?? 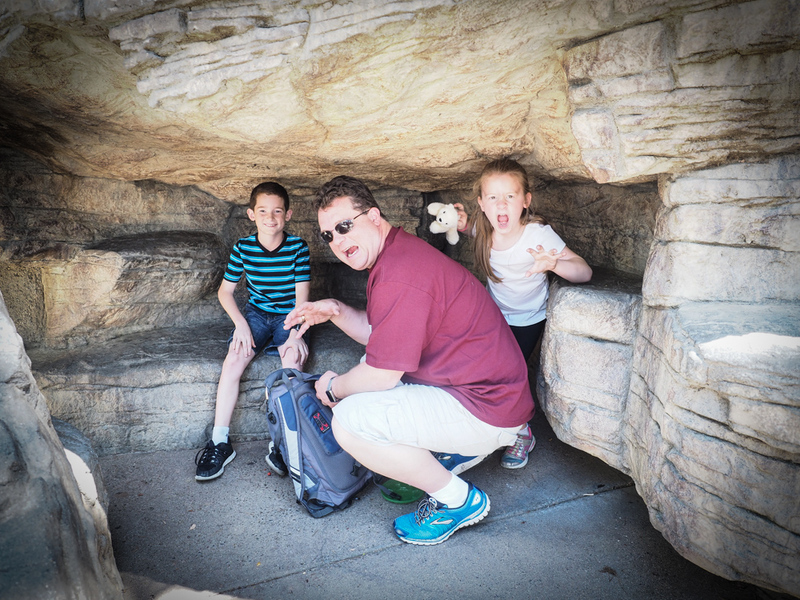 Okay…so I’ll just tell you first off, that the San Diego Zoo is an amazing place. 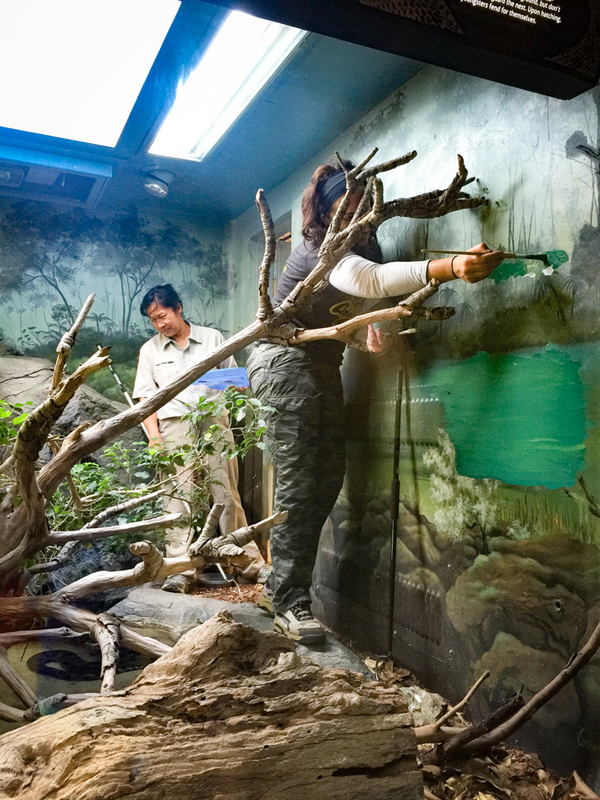 I will be blogging about it soon, but before I get to the zoo and how amazing it is, I just had to put out a short post about the most insane job that I had never seen in action before…PAINTING SNAKE CAGES while the snake is still in the cage! Now there are lots of jobs out there that I would never want to do because I’m a big chicken and have some serious fears. I am deathly afraid of heights, so there are many jobs I would never consider – like working as a window washer on skyscraper buildings, being a steel worker who builds the frames of some of those tall skyscrapers, a roofer, or being a person who works on electrical power lines up in those “cherry picker” machines!! None of those jobs would work for me. I like to be on the ground all the time. One other job that I realized I would NEVER be brave enough to do is to be the artist who paints the snake’s enclosure WHILE THE SNAKE IS STILL IN THERE!!! What? Morgan really liked this guy because he was such a cool color! 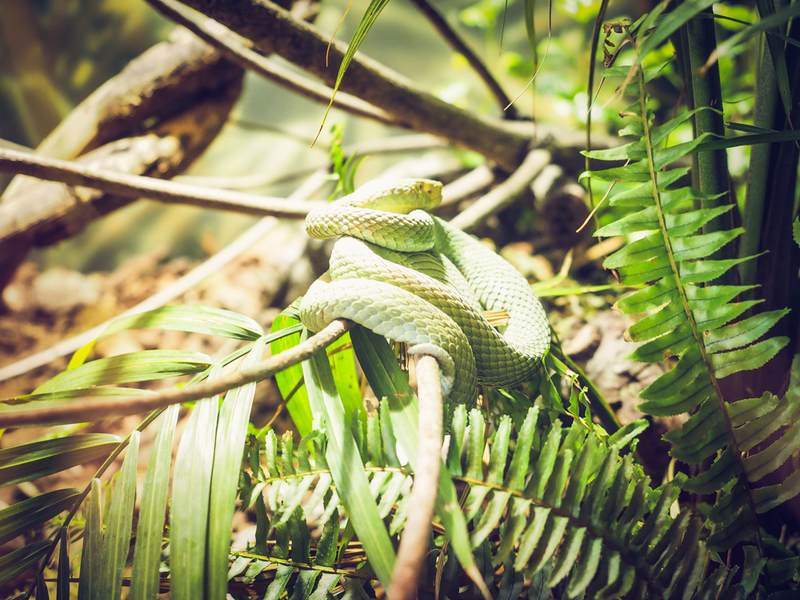 While we were at the San Diego Zoo, we decided to stroll through the Reptile House – not my favorite place at all, because like heights, I am also deathly afraid of snakes! All kinds of snakes – – grass snakes, corn snakes, boas, pythons, green snakes, colorful snakes – basically, anything that isn’t a worm freaks me out! Needless to say, while my kids had their faces pressed up to the glass to find each snake in its habitat, I was cautiously back away from the cage windows on the opposite wall listening to Morgan say “Awww…he’s so cute. I wish he was my pet!” And “Look Mom, he likes me.” Gross…how could this be my child? Snakes are creepy and scary. Why didn’t she know this? I knew I was going to have nightmares that night just because I walked into the Reptile House – I didn’t even really need to see a snake to set my fears in motion. We had passed by many snakes of all sizes and colors, and as we turned the corner to head down our last hallway (thank goodness), I glanced up to see two women in one of the cages. One of them was looking down and had a snake stick with her. You know…the kind all snake handlers use to keep snakes from biting them?? I was instantly intrigued by what was happening in this cage. Why were there people in this snake cage? Were they nuts? Well…it turns out that one of them was an artist – she was in this particular snake enclosure with her paints and paint brushes, painting a mural on one of the walls. The other woman was keeping a watch on the snakes in this cage to make sure they didn’t get too close to the artist! What?? Can you imagine? I could totally paint a cute mural on this cave wall! No animals to worry about – just lots of space to paint! What would she do if the snake started coming towards her? Drop all her paints and paint brushes to grab the snake stick?? What if the snake went after the zoo keeper first and then the artist would be left alone in the snake cage with her snake stick! What then?? These are the crazy things I was thinking as this woman was bravely painting away, completely oblivious to the fact that there were giant snakes surrounding her! Here she is – the bravest woman ever! Painting the snake cage while the snakes are still in there!! See that big one hiding in the water near the zoo keeper?? After a few minutes standing in awe of the snake artist, and taking a few photos with my cell phone, I told myself that the artist in the snake cage must also be a zoo keeper or a snake handler who also happened to be a good artist! Okay…she was safe – she was a snake-handler! I convinced myself that it was okay to move on. She’s a snake handler/artist! Right? Anyway…that’s what I kept telling myself, as I casually and happily strolled out of the Reptile House – not realizing that I forgot to take a picture of the “Snake Handler/Artist” with my camera until I got home! Oh well…I think you get the idea from my cell phone picture. And, there were not any news stories about snake incidents at the San Diego Zoo that day on the evening news, so it must’ve all worked out. Tenzi…A Fast, Addictive Dice Game! Who Wants to Play?